Gauge is not important here. 163 cm long and 17 cm wide. 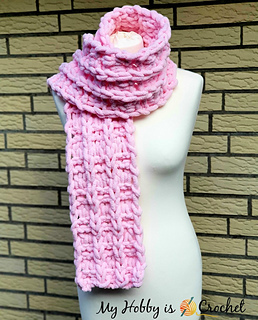 You can make a shorter/ longer scarf by making less/ more rows as in the pattern indicated. No neddles! No hook! 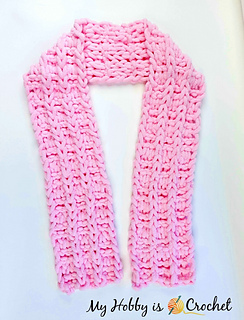 Use just your fingers and the Loop it Yarn from Red Heart Yarns to create this pretty scarf! It’s fun and it works up super fast! 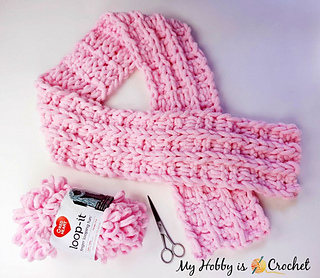 The pattern includes a picture tutorial and video tutorials for the basic stitches used. Get more crochet inspiration in my Pinterest Boards!